As a self-proclaimed music snob, there isn’t much commercial rap music that I find worth the precious space in my iPhone these days. I do, however, enjoy finding new, unheralded rappers via internet mixtapes. 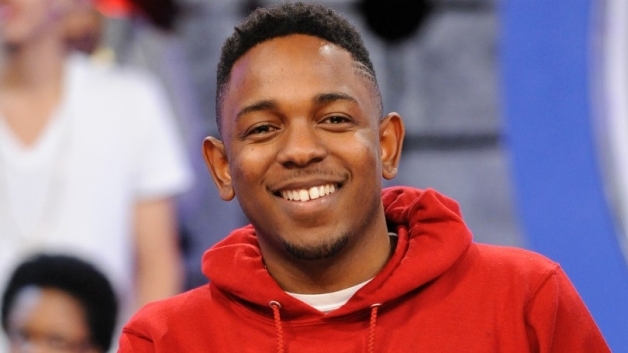 I’ve been exposed to many new artists in this way, including Kendrick Lamar, whose debut album “Good Kid, M.A.A.D. City” debuted at no. 2 on the Billboard Charts last month. The 25 year-old hails from Compton, CA, the Los Angeles Suburb made infamous by NWA when Lamar was still in the womb. Coming from that pedigree, one might assume that his music would be largely based on gritty tales of street experiences, ergo fellow Comptonite and Dr. Dre protégée The Game. But there is also the story of a kid struggling to reconcile the potential pitfalls of his surroundings with his sense of morality, which is reinforced by his mother and some concerned church folk. The album has received critical praise from dozens of sources, received nearly 3 million streams on Spotify and sold over 240,000 copies its first week. What stands out for me about the album is Lamar’s liberal use of religious rituals and symbols. And not in a tongue-in-cheek, borderline-heretical Watch The Throne-kinda way. Not only that, he actually name-drops “Jesus” at least five times. His 12 minute opus “Sing About Me, I’m Dying of Thirst” is a shining example of what I like to call, The New God Rap. Jesus Walks. It was the first rap song I could actually play in front of my mother. Though these days when I hear a song like New God Flow, I’m confused as to whether I should like it or dive for the nearest crucifix. Though it was the only type of rap music I was allowed to listen to growing up, Gospel Rap never really connected with me. Perhaps that’s because its intention is to preach, and preachy hip-hop has a tendency to wear itself out after a few tracks. To be fair, I don’t think you’ll be hearing any verses by these artists quoted in pulpits by theologians. Still, as someone who continues to reconcile the desires of this world with my belief in the supreme higher power, I hope Lamar’s success will inspire others to explore their spirituality through their art. Very well written Mr. Gaither.